Join Mary Ann Esposito at Grill 28 at Pease Golf Course in Portsmouth, NH on Friday, November 30th from 11:30 AM – 1:00 PM, for a Meet and Greet and book signing. 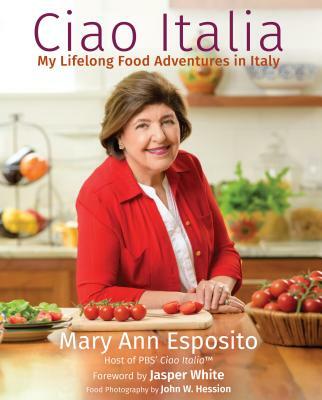 Purchase a copy of her new book, Ciao Italia: My Lifelong Food Adventures in Italy at the event and Mary Ann will autograph it for you! Grill 28 will feature recipes from Ciao Italia all week leading up to the event.